I'm a Web Designer and Content Writer that loves to travel. 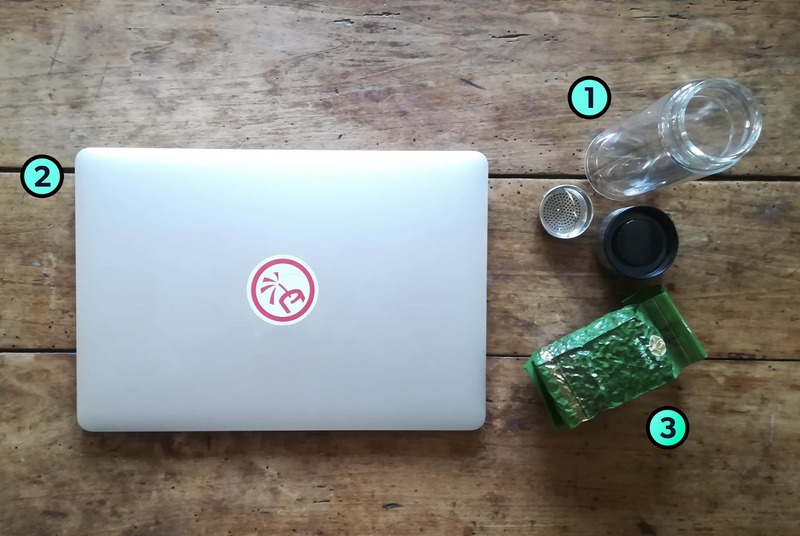 Working online allows me to have the freedom to travel and explore my passions, one of which is high quality Chinese tea. I've spent many years living in South China (Yunnan, Dali Old Town) and also Chiang Mai in North Thailand – both great low cost places to live, with friendly locals and close proximity to tea growing regions. I don't tend to travel to lots of different locations, I did that more from 2004 through 2008. I find moving around exciting at first but it quickly gets lonely. These days I like to move between a few key places I love, where I can maintain semi-permanent bases and some solid friendships. Judging by my passport stamps, it's clear that the winner is Phuket, Thailand. Specifically the small fishing village of Rawai, right down in the South East corner of the island. Phuket doesn't have the best reputation due to some of the more touristy areas, but I find Rawai is a quiet place to relax, enjoy the beach and get some work done. It has a great mix of modern convenience — one of my most favorite sushi restaurants is there, Uoteru Suisan Sushi — while also being a little ‘off the trail'. Tea Flask: I drink tea everyday and need to be able to prepare high quality loose leaf tea whenever I travel. For me it's a really nice experience to sit down and drink tea in every new place I go. The flask is double-walled borosilicate (shatter-resistant) glass, which keeps the brew really clean, and means it doesn't get too hot to touch. The filter is stainless steel and pops right in and out. It's fragile, but worth protecting on the road so I can always have good tea! Editors Note: This tea flask company is owned by Russell! Macbook 15″ Retina Pro: This is a bit cliché perhaps, but my Macbook is what allows me to live the life I do. In terms of being truly ‘essential' it should be number one. I've traveled with the 15″ Retina Pro version since mid-2012, and it's never let me down. 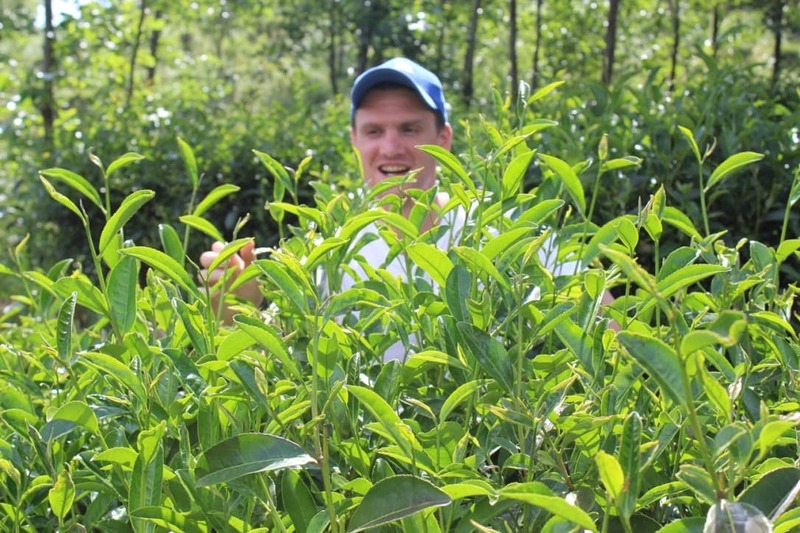 High Quality Chinese Tea: A high quality Chinese tea! I'm a particular fan of Chinese & Taiwanese oolong teas, and the tea pictured is 300g of Spring 2017 “Qing Xin” oolong tea grown organically by Taiwanese farmers in Yunnan province, China. I have to say I've always been negative towards digital maps. I love paper maps! I always have one, especially when driving or cycling. In 2008 I did a cycle trip from Bangkok (Thailand) to Kunming (China) over a couple of months with paper maps only — the adventure factor was *huge*! A digital map would have just made it that much more boring. Having said that — yes, digital maps are incredibly useful and I use Google maps all the time to get me around. I just miss the adventure of paper map-only travel! This is a tough one! I think one of the only items that really bothers me every time I pack is the MacBook Pro charger. It's just so bulky and gets heavy, especially with the UK plug and necessary adapters. Nit picking perhaps, but it's always a really bulky item that bothers me when I try to pack light. So maybe some mystical, magical wireless MBP charging system… that would be really great! What item do you miss most when you travel? I miss books! Obviously there's Kindle and you can still read on the road, but there's something about building up a nice book collection and reading real books that you just can't get while traveling. I'm not joking that I have traveled many times with a big glass tea kettle (approximately 30cm x 30cm across) in my suitcase. Sounds ridiculous but I just had to have that *perfect* brew… check my Instagram for proof! What's the weirdest piece of travel gear you've seen? 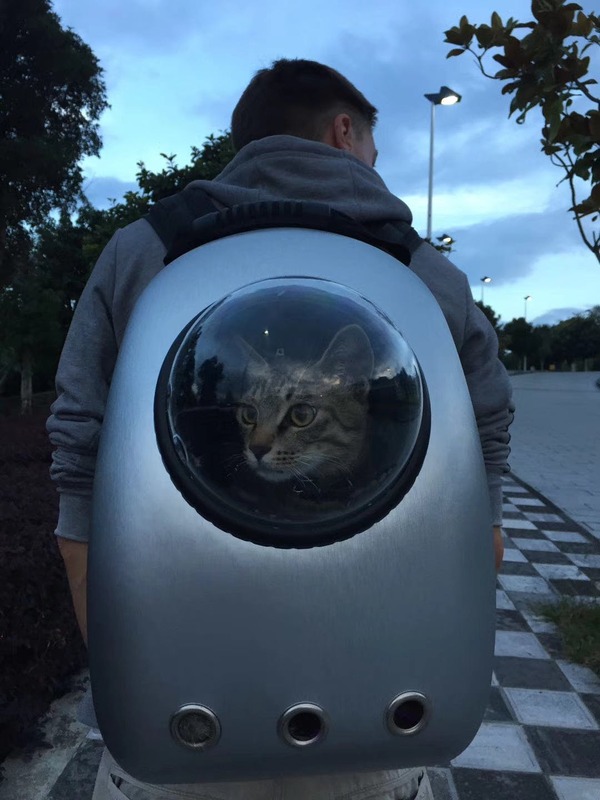 Hmm… well maybe people aren't using this for travel as such, but I think the “cat backpack” is a pretty weird one! Here's a picture of me taking my cat, Mr. Soft, on a trek up the mountain to Dali University Campus. Sure, you wouldn't really be using this for real travel (good luck getting your cat in your carry on!) but people do use them for all sorts of trips around the city. It's pretty weird when someone turns around and you find a cat staring at you, wondering what's going on! It's also good for drawing a crowd and keeping your furry friend with you on all your adventures! Hot tip! If you're on the tea trail and find yourself in South China, check out “Yi Wei Cha Guan” (一味茶馆) on Renmin Road in Dali Old Town (Yunnan province). The owner (Li Ruo Hai) will lead you to the good stuff. Follow Russ's travels on Instagram!